GSI Outdoors Glacier Stainless 1L Vacuum Bottle is designed with premium 18/8 Glacier Stainless steel for unrivaled durability. 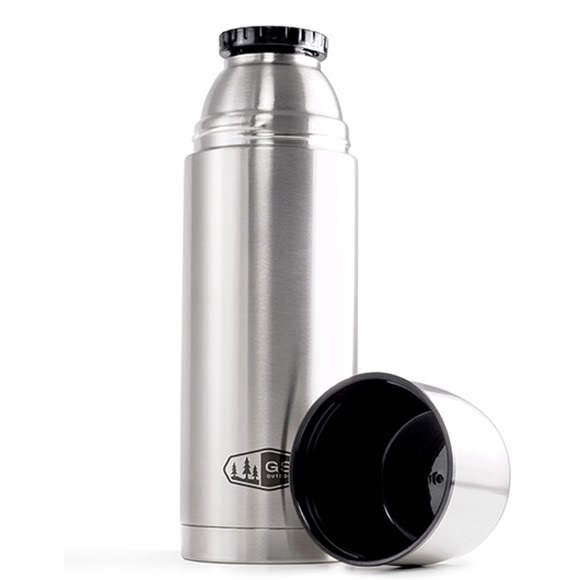 It features one-piece, pour-through lid minimizes spillage and heat loss. Premium 18/8 Glacier Stainless steel for unrivaled durability. Streamlined shape for effortless packing. Measurements 11.00" x 3.50" x 3.50"